Everything related to planning for your extended trip. Topics may include packing lists, prepping your car, creating your own itineraries, and great information links. Our summer is in full swing with lots of hiking and river floating, beach days, summer festivals, Musical Mondays, farmers markets, waffle breakfasts, and of course… lemonade stands! 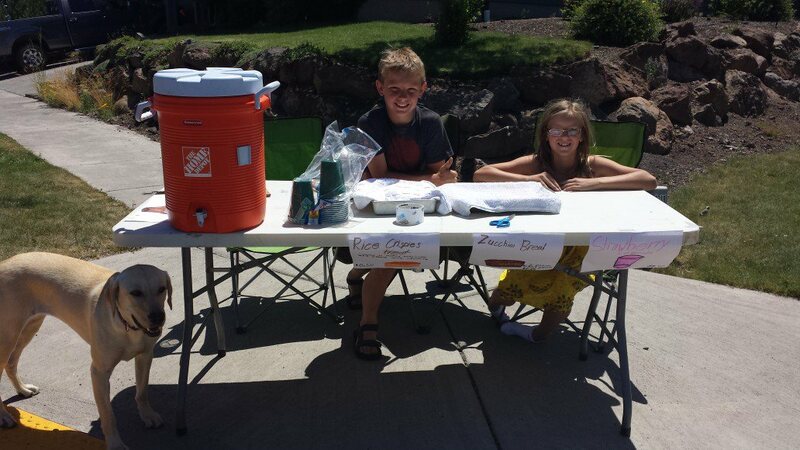 The kids have finally realized that we only have about two weeks left before our summer vacation and they are suddenly budding little capitalists. There is not a chore on the planet that they wouldn’t do right now for an extra buck or two. Seriously. All for a little thing called the Fun Fund Jar. About five years ago I decided I was done listening to the continuous requests for gifts, tshirts, treats, toys, and other souvenirs while we travel. I mean seriously, how many times can one kid ask for the same thing? A lot, apparently. So naturally I decided it was time to do something about it, and drank a jug of wine. No really, I did. For good purpose though: we rinsed it out, the kids decorated it with all kinds of trip-related stickers that we picked up from a scrapbooking store, and we implemented the Fun Fund Jar strategy. 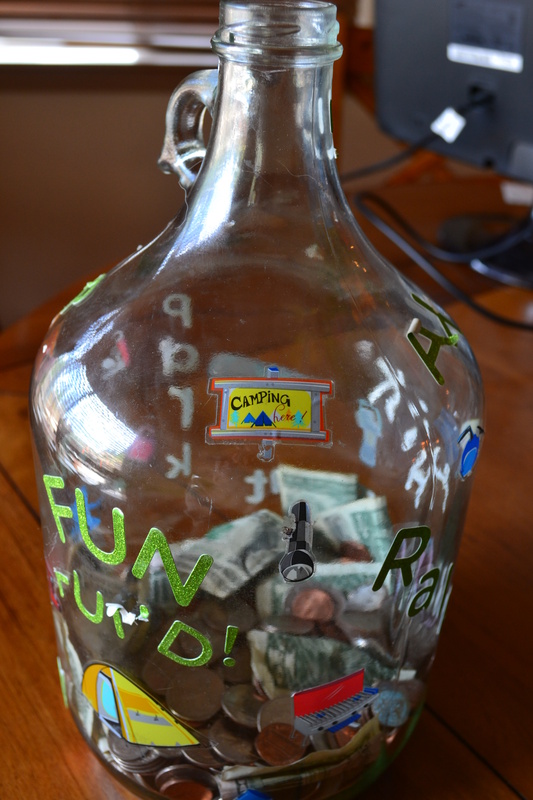 All year long, the kids find ways to contribute to the Fun Fund. Their extra chore money and lemonade stand profits go towards the jar, we use it as a “loose change” jar, and as a “bad word” jar, so my husband and I get to contribute fairly regularly as well. Then each summer we count it up, cash it in, and split it evenly between all three kids. This is the only “spending” money we give them for the trips. They are each responsible for handling their share throughout the whole vacation, and they can spend it on anything they want, but when its gone, its gone, and they can’t ask me for anything else. The jar has worked wonders. I think each year the kids have actually come home with leftover money to start the next years fund. They are so much more conservative in regards to picking out the things they want to spend money on when it is their own! It has taught them to make thoughtful decisions about spending and not to spend everything they have at the first stop, not to mention that we have completely eliminated all the little “can I have this” requests. Whether it is a visitor center, museum gift shop, or truck stop, they bring in their envelopes and decide their own purchases. I also really like that this jar gives them an opportunity to save spending money for their vacations that is separate then what they are saving in their bank accounts. The kids aren’t spending money they’ve received for birthdays, or earned for grades or from working. That’s it for today! I feel like I’m getting a little behind in my posting with so much going on throughout the summer, but there is a lot in the works! I hope all of you are enjoying a great summer too. I’m gearing up to publish Itinerary #2 soon, but there are just a couple more things I want to get posted before doing so. Today is about the all-important Trip Binder. This idea is a consequence of my obsessive need to get these trips as organized as possible before taking off for weeks on end with three kids and a car stuffed full of supplies. They keep everything in one place… itinerary, maps, reservation confirmations, and all the stuff we collect along the way. Make sure to have your trip binder organized and ready before you leave on your vacation, and keep it close to you the whole way through! I keep mine lodged right between the driver and passenger seats throughout the trip. To get started, purchase one 2-inch 3-ring binder, a set of dividers, and a package of transparent sheet protectors. 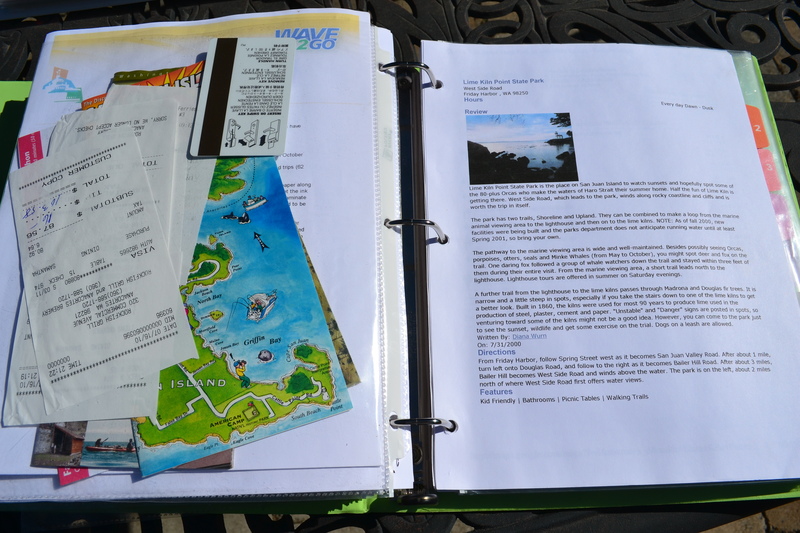 First, print out a final copy of your itinerary to put in the book. You can either place it inside the transparent front cover, or put it in a sheet protector as the first page in the binder. If you’ve made a calendar (which sometimes helps on long trips), you can also print that out and place it inside the front or back cover. Next, you are going to label your dividers. I don’t make a divider for every day, but rather for every major destination. This way each divider holds all information necessary for a few days at a time. For example, one section might be Crater Lake National Park and hold all information for Crater Lake and your visit to nearby Bend. Another section might be Portland, and hold everything related to your plans in the city. Create your sections in ways that make sense to you, but make sure to line them up in chronological order of your trip! A copy of your campground or hotel reservation so you always have proof on-hand that a reservation was made, and so that you have any posted instructions for arrival at your fingertips. Directions for every drive. I carry a road map in the car and have my phone, so this might seem redundant, but you never know when you might need them. I still use them to cross-reference where the navigator on my phone is sending me and to drive into remote areas where my phone doesn’t always have service. Plus your navigation devices might send you to the wrong area in the same park, so you want directions that you’ve looked at and confirmed on hand before you leave on your trip! Safety information for each area you are visiting. Make sure to look online and see if there are any posted articles about road construction or animal sightings that might influence your activities. A lot of park websites will have handouts posted for ongoing safety issues at their park. I often print these out and have them in the binder so I can talk to the kids about them when we are at the campsite. Printed tickets for any activity for which you’ve made reservations. I’ve pre-purchased and printed tickets out for museums, zoos, rodeos, festivals, ferry crossings, historical tours, and rafting excursions. It’s easiest to put these in a page protector and insert into the binder. Brochures, day hike lists, and maps of the specific area you will be. Spend time researching each area online before you leave and print out the important information about things you want to do. 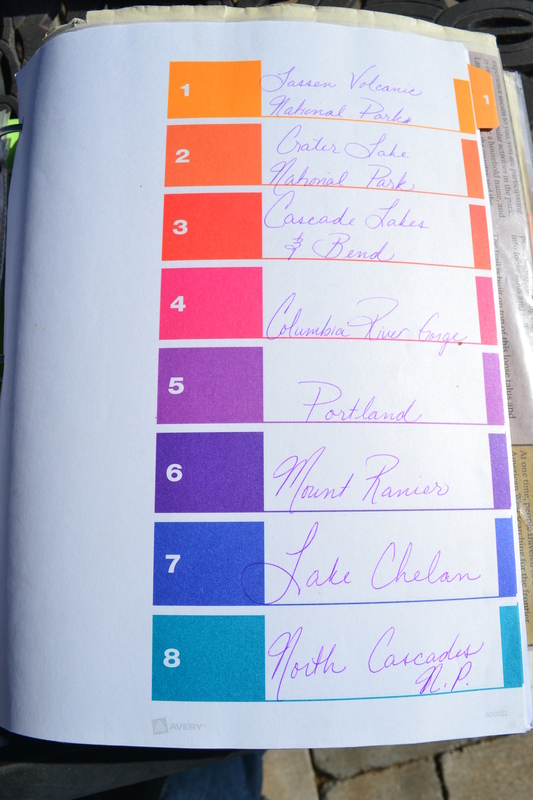 I love having a list of popular day hikes for each national park we are visiting in my binder. Any interesting historical or scientific information that you definitely want to share with your family while you are out. If you can’t find a printable handout, just copy info to a word document, print it out, and stick it in your binder! It all makes for good reading material while you are driving. Well, not for you, obviously, but for the people in the car who aren’t driving. 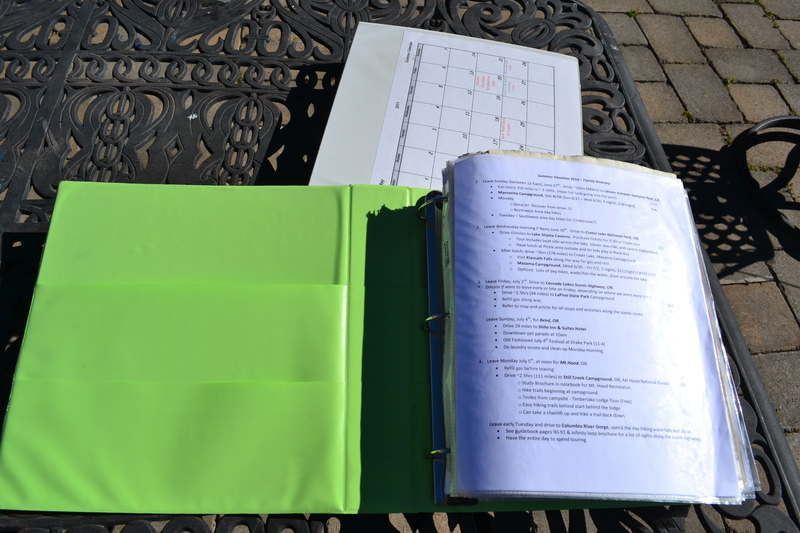 Make sure to insert at least one extra (empty) page protector into the binder for each divider section. I use this to store the maps, postcards, receipts, stickers, park literature, brochures, parking tickets, and other small “souvenirs” we collect a long the way. It’s great to have one place to put all that stuff, or your car becomes cluttered with paper very quickly. The best part of all? When you arrive home, exhausted, and have the first day of school staring straight at you, you can rest easy knowing your ‘scrapbooking’ for the trip is basically done. Everything is already in one place, in the order that you did it, complete with not only your plans, but all the bits and pieces you collected along the way. If you’re like me and hate to scrapbook, then feel comfortable shelving these little binders away knowing that the job is done and neatly organized. However, if you love to scrapbook, you can still shelve the binder away knowing that when you find the time to start the project, everything you need is there waiting for you to make something creative and beautiful with it. I hope I’ve sold you on the Trip Binder concept. When you are living out of your car for thirty days, I think it is very important that you have everything you might need at your fingertips. Not only does it minimize potentially dangerous distractions while you are driving, but it also makes it a lot easier to keep track of all the little things related to your trip, and when you’re dog tired and have a car full of restless kids, making everything as easy as possible is just a part of good planning. That’s it for today! I hope everyone has an opportunity to enjoy the outdoors this weekend! I saw Amazing Places to Take Your Kids by Laura Sutherland sitting on an out-of-the-way bookshelf at a school book fair. I picked it up because it was priced so inexpensively and it probably wasn’t something I would have found at my favorite large book seller. What a discovery! This book has helped me plan and shape every single one of our road trips! The chapters are laid out by regions of the United States, perfect for the way in which we travel. On almost every page, there is a different place to visit described succinctly, yet with enough information to decide if it is age-appropriate for your kids. Also, there is a large photograph on every page that the kids love! This is a great tool in getting them involved in the planning process because they can actually see what the options are in that region. 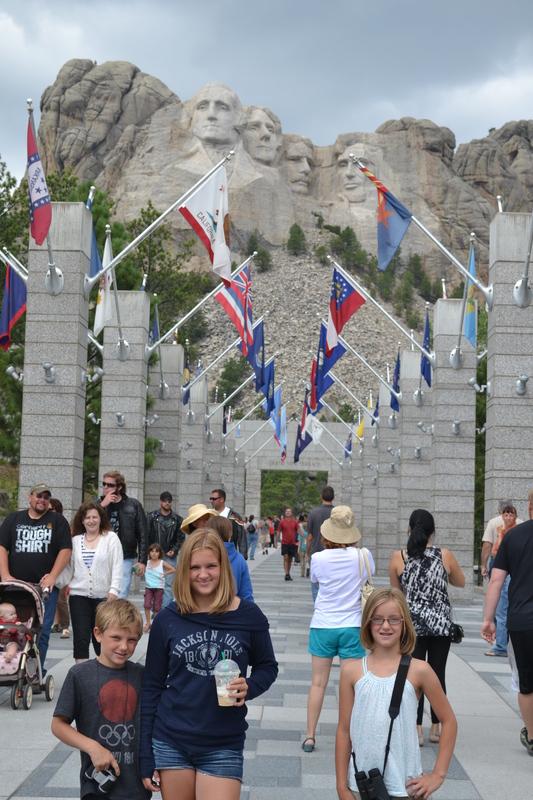 Sights in the book include various national parks, museums, theme parks, beaches, and historical places. It really is amazing because it helps you get a feel for what attractions are important to see in an unfamiliar area of the country. It’s also great to use for any of your other travelling throughout the year. 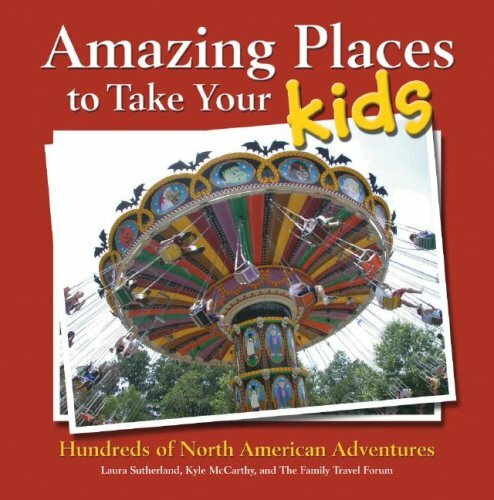 If you are going to visit family, flying to a new city for a wedding, or just want to get out of town for a weekend somewhere, this book has great ideas on fantastic places to visit. We also use this book as a memory-keeper for our trips. We bring it with us on our vacations, and after visiting a site that is described the book, we turn to that page, date it, and everyone in the car signs it. It’s kind of neat that now I have a book with signatures dating back to four years ago, and we will just keep adding to it. I think it will be another great keepsake with which to remember our travels. Anyway, I just wanted to share this great planning and keepsake idea. If you’re interested, check out the publishers page or Amazon.com to purchase a copy. Posted on May 14, 2013 February 13, 2016 Categories Planning and Packing, Preserving MemoriesTags road trips, United StatesLeave a comment on Amazing Places!